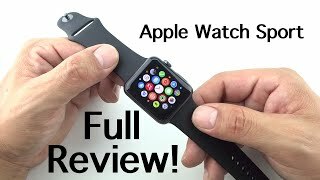 The Apple Watch Sport is a lightweight version of the Apple Watch. It’s designed to keep up with users with an active lifestyle. It’s also slightly cheaper compared to the other two Apple Watch versions. To learn more about the Apple Watch Sport Kuwait price, specs and release date, keep reading. 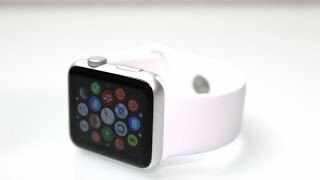 The anodized aluminum material used for creating the Apple Watch Sport is what makes the smartwatch lightweight and also attractive to look at. 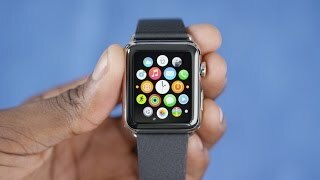 The smartwatch is 30 percent lighter compared to the Apple Watch steel model. The sport band used in the watch is quite strong, durable and is available in five different colors: black, white, pink, blue and green. For those who want a lightweight watch that they can wear all day without facing any problem can think about checking the Apple Watch Sport Kuwait price. There is also the Motorola Moto 360 and LG G Watch R that you can check out. The Apple Watch’s display is square in shape. 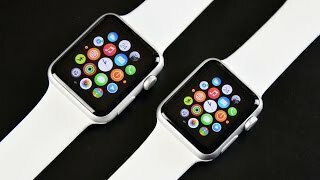 There are two different sized versions to look for if you are waiting for the Apple Watch Sport release date Kuwait: 38mm and 42mm. The display of the Apple Watch Sport will be protected by Ion-X glass which makes the watch quite lightweight and also adds to the beauty of the watch. The 32mm version will show 272 x 340 resolution and the 42mm version will display 312 x 390 resolution. 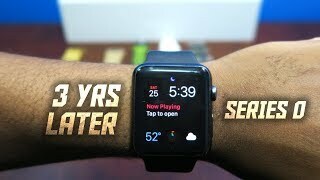 For those who own an iPhone and want a lightweight smartwatch can think about waiting for the Apple Watch Sport Kuwait price. There is also the Pebble Time Steel and Huawei Watch you can try. One of the major feature of the Apple Watch Sport is its ability to track users’ movement. While it’s not really a new feature for a smartwatch, it can track when the user is standing or sitting and give tips accordingly. If you are sitting in one place for too long, it will request you to stand up for a while. The watch can give users a weekly report of their fitness goals and how they can improve their fitness goals or achieve them. Users get 8GB of built-in storage from which only 2GB can be used for storing music. The digital crown included with the watch along with a side button makes it easy for users to navigate. Users can directly receive phone calls from the smartwatch and talk using the built-in microphone. It can stay connected to your iPhone via Wi-Fi and Bluetooth. 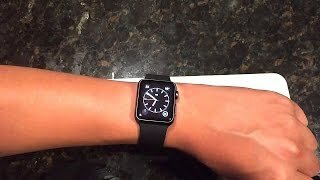 A unique feature of the watch is the communication system between Apple Watch Sport users. They can send their heartbeat record or animated drawings to each other. For those who are looking for an alternative to a fitness coach can think about waiting for the Apple Watch Sport release date Kuwait or check out the Fitbit Surge. The Apple Watch Sport is available in two different sizes: 38mm and 42mm. The 38mm version is available for about 100 KWD while the 42mm version will cost 100 KWD. 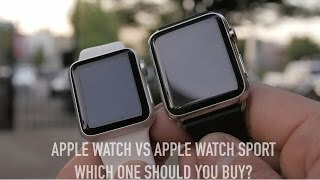 Apple Watch vs Apple Watch Sport Dual Unboxing: Which One Should You Buy? Price has decreased 3% from KWD 165 on 2019-03-30 to KWD 160 today.